We innovate to improve the way the world works and lives. See our accomplishments as a global leader, great employer and corporate citizen. Accenture is proud to have been recognized as a global leader across financial indices, for our brand value, and for our reputation within and across the industries in which we operate. Our leadership is often acknowledged by leading financial publications, professional and government organizations, and other institutions around the world. Our diversity around the globe makes us more innovative, helping us to lead. As a talent-led organization, Accenture puts people first. We aim to be an employer of choice for the world’s most innovative talent. We embrace diversity as a source of innovation, creativity and competitive advantage. We are proud to be recognized by some of the most forward-thinking companies in the world. 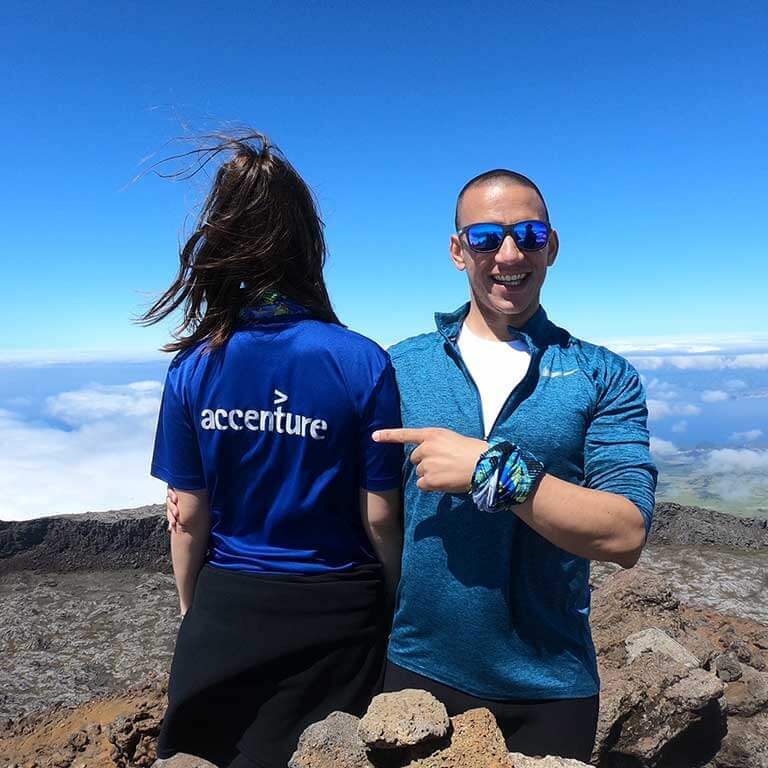 Accenture inspires our people around the world to explore their passions while nurturing and cultivating their talents. "The soul of our organization is one where people are connected, care deeply for each other and are comfortable being their true selves every day." Corporate Citizenship is central to our vision for improving the way the world works and lives. We live this vision by making a difference for our people, clients and communities each day. We know we’re on the right path when globally respected organizations recognize our achievements. Accenture’s mobile phone app, BecaXR, an augmented/virtual reality tool, helps students visualize potential career pathways and prepare for success. "We innovate every day at Accenture to build more inclusive societies and to create a positive, meaningful impact."